A Spanish great-grandmother who was probably the world's oldest blogger, has died at the age of 97. She became a web sensation as she blogged about current events and happenings of the past. Maria Amelia Lopez died May 20 in her hometown of Muxia in Spain's northwest Galicia region. According to her blog Amis95.blogspot.com, No cause of death was given. I wonder how that happened. Oh well, maybe someone else took over her blog. Perhaps her son detailed her passing to her beloved fans. 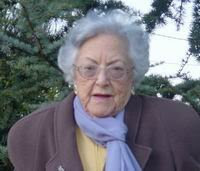 Lopez started blogging in 2006 after her grandson created the site as a present for her 95th birthday, Amis95.blogspot.com. The blog went on to attract a huge following, with more than 1.7 million hits. Lopez shared her thoughts on everything from life in Spain under the dictatorship of Gen. Francisco Franco to the U.S.-led invasion of Iraq, which she criticized. Her blogging fame earned her a meeting last year with Prime Minister Jose Luis Rodriguez Zapatero. Why am I sharing this story with you? For the simple reason to show you that you can never bee too old to start blogging, nor too young for that matter. Many people have used their age as an excuse not to get into technology or the internet. With such upstarts and extremely popular social networking platforms and micro blogging platform as Facebook, Gatorpeeps and Twitter, there is ample opportunity to get involved. This story should serve as an encouragement to you. Blogging is about the stories you can tell. About your point of view, how you see the world. You would be surprised to see how many other people there are who are just like you. Interested in the same things you are. Share your opinions. There are many free blogging platforms you can use. Blogger (BlogSpot), Wordpress, Typepad, to name but a few. Why not start your own bog? Who knows, you might also attract over a million followers.